France is a nation of strong national pride and many notable cultural contributions. Its capital city, Paris, is the undisputed heart of the country, with some of the finest art and architecture in Western Europe. Known as the City of Light, Paris is a fresh and modern city that is flourishing center of politics, the arts, and social change. Through a joint collaboration between the University of Houston and University of Paris – Sud, students pursuing degrees in science, technology, engineering, and mathematics (STEM) will gain unmatched opportunities for a rich and uniquely rewarding, life-changing academic experience. Undergraduate students may take up to four courses toward a bachelor’s degree. Each course is equivalent to three credits. Students can then transfer up to twelve credits to UH. An internship will be equivalent to one course or three credits. In order to earn up to twelve credits, students need to work with the UH Office of Study Abroad to file a petition to transfer the credits taken outside of UH. The study abroad program provides graduate students with an opportunity to spend one semester working on an internship or research project. Faculty members working on similar research projects will mutually agree to host a graduate student in their research lab as part of a master’s thesis or project. In addition, students will have an option to take graduate courses in English. Located to the south of Paris, Paris-Sud University offers multidisciplinary learning opportunities with superb teaching complemented by world-class research, most notably in mathematics and physics. Innovative research discoveries are wide ranging – from health, to sports, law, economics and management. Joint initiatives with leading organizations such as the National Centre for Scientific Research, the French National Institute of Health and Medical Research (Inserm), and CEA contribute greatly to our abilities to offer high quality, translational research experiences to students. Program fees vary based on term abroad, courses, and areas of research. Additional costs for hoursing either on campus or near the university. Flights, food, personal expenses, and locall transportation are not be included. See the program's faculty memeber for details. 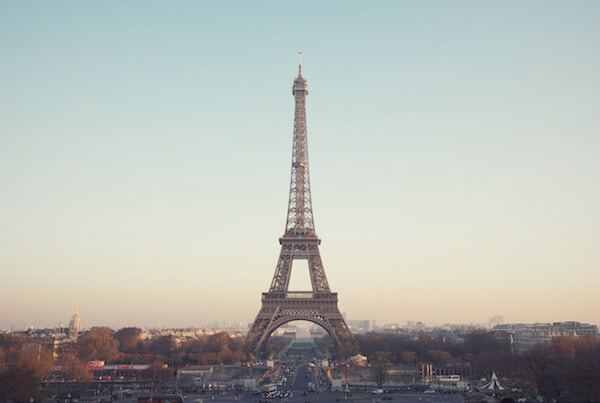 Eligible students will receive a scholarship up to $2,100 from a grant funded by the Embassy of France and can apply to the UH – International Education Fee Scholarship (IEFS) to receive additional funding up to $1,200 pending eligibility. The deadline for IEFS is February 24. Total scholarship can be up $3,300. International Education Fee Scholarship (IEFS): UH undergraduates with a 2.5 GPA and 12 credit hours/graduate students with 3.0 GPA and 9 creadit hours are eligible to apply for funding for learning abroad approved programs. Applications open each fall and spring. For more information, contact: Dr. Heidar Malki. Learning Abroad can assist students in finding additional assistance for their program term abroad. Eligibility, deadlines, funding amounts, and opportunities range. Contact Learning Abroad for more information.